Canon CMOS Sensors give astronomers the high-performance imaging capabilities they need to explore more of the universe. In a race for higher resolutions, higher sensitivity, and lower noise telescopes and adaptive optics, astronomers face on-going pressure to quickly ramp up imaging capabilities without swelling costs. Find expanded possibilities in astronomical imaging with innovative Canon CMOS Sensors. 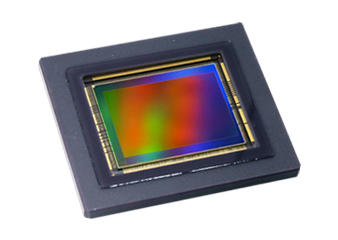 Canon CMOS sensors feature pixel-level innovations for unique performance attributes. Technological advances in pixel counts and pixel sizes yield ultra-high resolution and sensitivity CMOS sensors that stand up to the steep demands of astrological imaging. Leverage Canon CMOS sensors for astronomy and discover greater detail and clarity than ever before. The global adaptive optics market is estimated to be worth approximately $109.69 billion by 2024 (Transparency Market Research). During this time frame, the market will grow at an astounding 83.9% compound annual growth rate (CAGR). Demand in the field of astronomy for more powerful end products with advanced sensors is one of the major drivers of this growth, and advances in astronomy are opening the path to further commercialization of adaptive optics by other industries. Canon CMOS sensors help astronomers stay at the forefront of innovation by delivering unique performance. Demand for higher performance imaging systems drives rapid innovation. Canon CMOS sensors help astronomers push the boundaries of what’s possible with technological advances for powerful imaging solutions.